We want to extend a heartfelt “Thank you!” to our employees who take the time to learn more about our foundations and to those who make generous contributions to our “iGive” employee campaign. Remember, it’s never too late to learn more about the foundations, make a donation and refer grateful patients. Read on for more information. As an employee of St. Joseph's Hospital and Medical Center, you can be proud to be part of a team that gives amazing care to people throughout Arizona and the world. Our hospital is a major referral center for the most complex diseases, disorders and injuries, particularly in the areas of traumatic injuries, lung and esophageal disease, brain and spine disorders, high-risk pregnancy and cancer. St. Joseph’s Foundation was established to raise funds for the hospital’s charity clinics. Its mission was later expanded to include all areas of St. Joseph’s. Today, St. Joseph's Foundation raises millions of dollars each year for patient care, medical education, community outreach, research, and care for those in need at St. Joseph’s Hospital. Your tax-deductible gift to St. Joseph's Foundation will contribute to our hospital's ability to provide excellent patient care and stay at the leading edge of medicine. Call us at 602.406.3041 to make a gift over the phone or to get additional information. St. Joseph's Sisters of Mercy have made a special request to St. Joseph's employees: to raise money to update the Marian Chapel throughout the iGive 2018 Employee Giving Campaign. Marian Chapel has served as a sanctuary for prayer and meditation at St. Joseph's for more than 60 years. Donations are urgently needed to update the chapel's AV technology, which was severely damaged during a power surge several years ago. GREAT NEWS: In appreciation for the Sisters of Mercy's mission, and grateful for the compassionate care received by the Grubb family, longtime donors Dan & Kathy Grubb have generously offered to match donations--dollar for dollar--to upgrade St. Joseph's Marian Chapel! 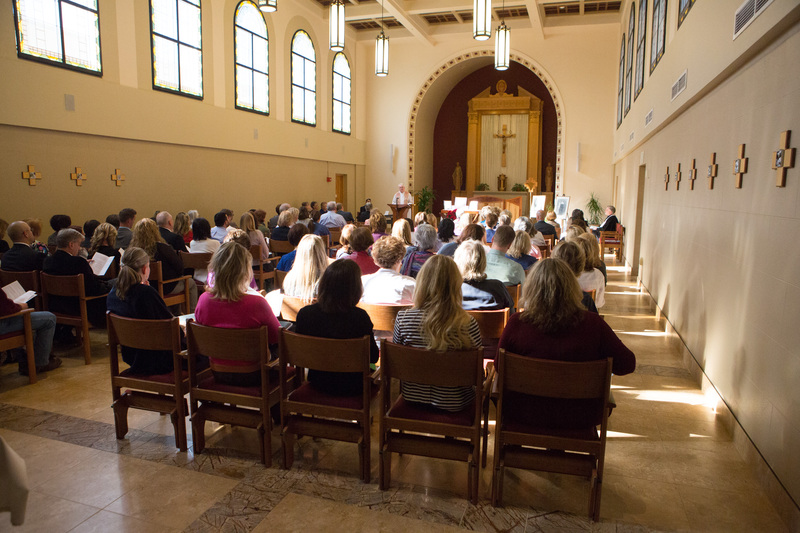 DONATE NOW to support Marian Chapel upgrades!